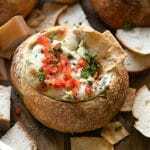 Hot Crab Artichoke Dip in Mini Bread Bowls are an easy and delicious snack perfect for all your holiday or entertaining needs. Filled with artichoke, spinach, lump crab meat, and cheese, guests will love the fun and delicious cheesy flavor of this crab artichoke dip. A party isn’t really a party without some kind of bubbly hot dip. 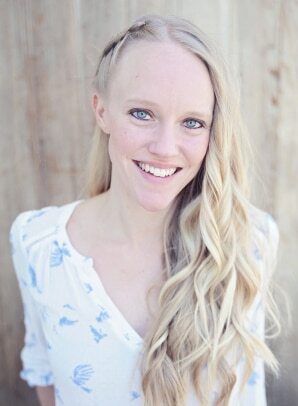 Just kidding, the dip doesn’t have to be bubbly or hot…I guess. 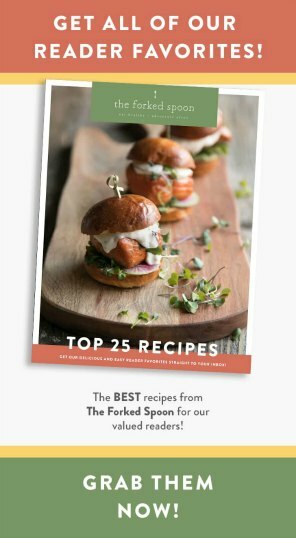 After all, I do love all food where bread is used in place of a fork and cheese is a primary ingredient. 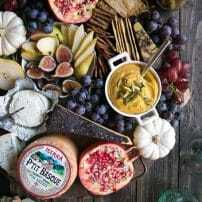 But today we’re talking about the warm bubbly kinds of dip. Specifically this warm crab and artichoke dip. Perfect for holidays like Thanksgiving and Christmas, birthday parties, and of course the SUPER BOWL, this Hot Crab Artichoke Dip Recipe is easy, delicious, and perfect for snacking. 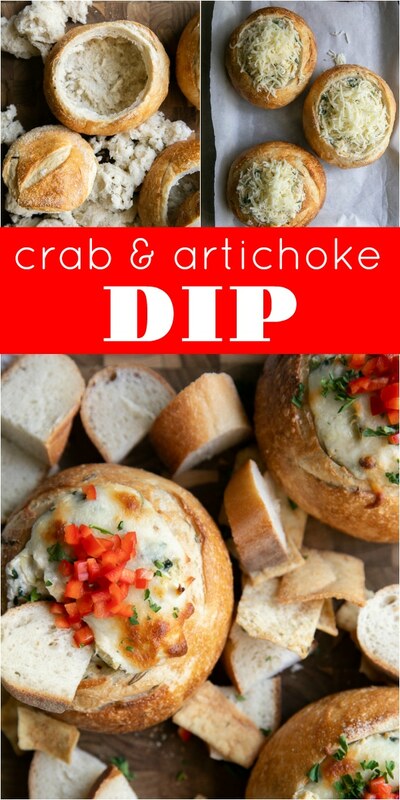 Serve with pita chips or fresh bread, this crab artichoke dip in mini bread bowls will be gone in no time! My favorite part about this crab artichoke dip (aside from eating it, of course)? It takes just minutes to prepare! MINUTES! And the very best part? you can prepare it ahead of time so that all you have to do the day of is bake it. Ok, guys, so to start this Crab Artichoke Dip Recipe you are going to need bread bowls. Some of you may be wondering why I went with the small bread bowls? Honestly, I gave the bread bowl part of this recipe a lot of thought and ultimately, these were my reasons for going with the small ones. Smaller bread bowls require a shorter baking time. Obviously, with a larger bread bowl comes more filling. More filling means more time required to get the much desired hot and bubbly crab artichoke dip we’re all wanting to dig some bread into. It also means that the bread bowl itself is more likely to brown or burn. I don’t mind toasted bread, but I do mind burnt bread. So, long story short, the smaller bread bowls made more sense. 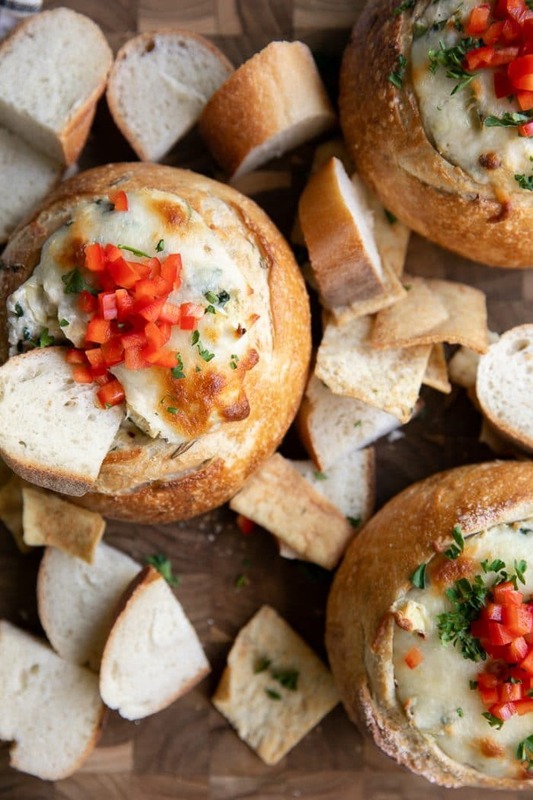 Smaller bread bowls make it easier to spread delicious crab and artichoke dip food love. 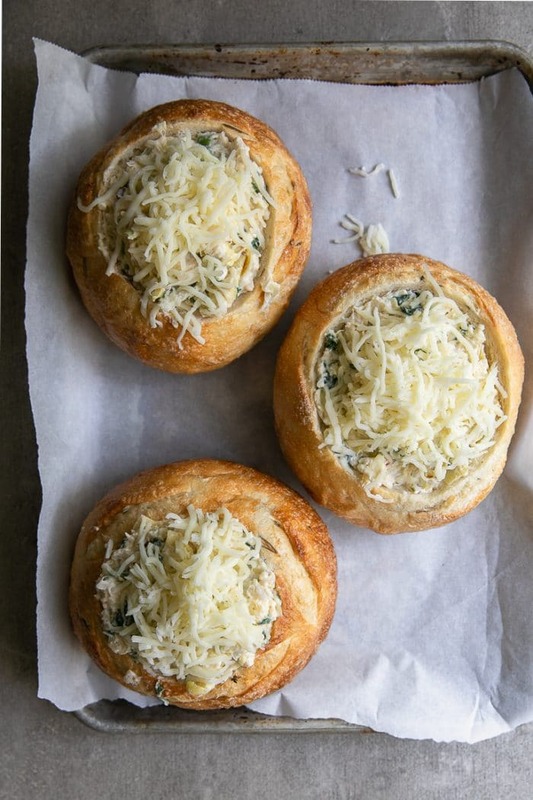 Why have one crab artichoke dip bread bowl when you can have THREE? One for the kids, one for the grown-ups, and one for the unfortunate individuals still in the kitchen cooking the main meal (aka me). Easier to store leftovers. Not everyone is cool enough to throw a party with 15 people (translation-me). 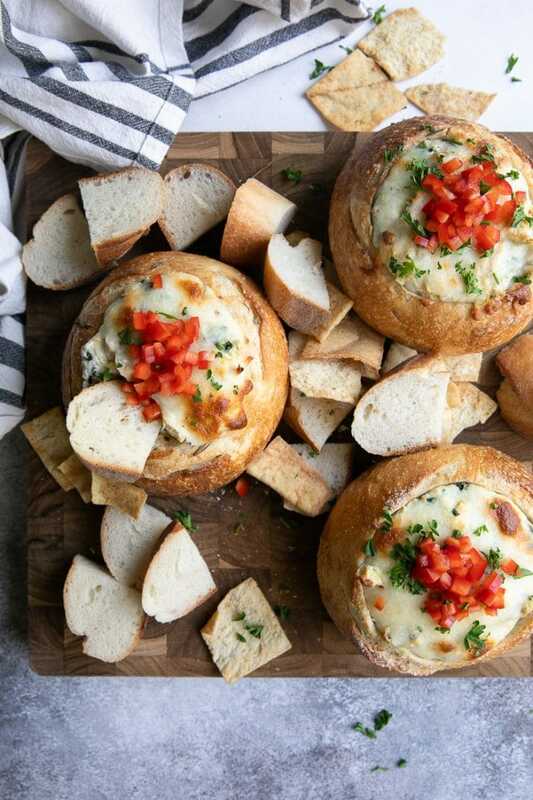 Preparing mini bread bowls is perfect for more intimate get-togethers and makes it easy to store leftovers. 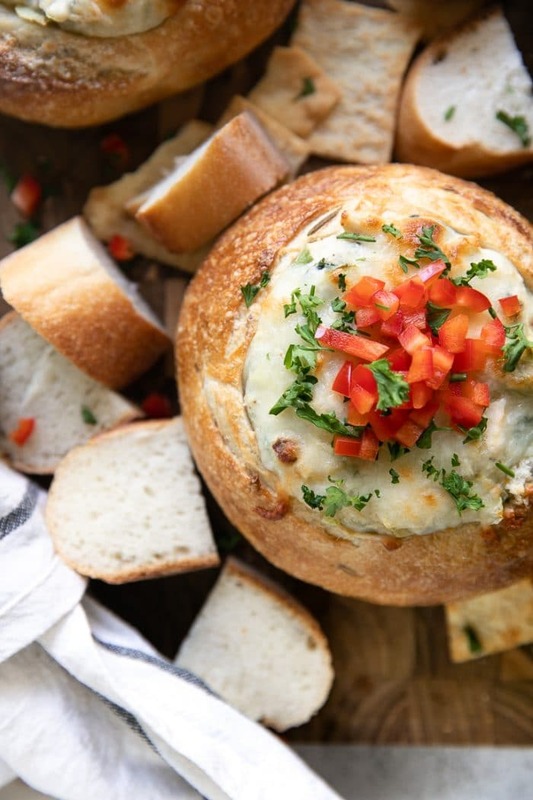 Can a large bread bowl be used in this Crab Artichoke Dip Recipe? Absolutely. However, the measurements for this recipe are for the three smaller bread bowls. I have not yet made this recipe in a large bread bowl so I can’t guarantee it will all fit inside one big bread bowl, but the worst that would happen is that you have some extra filling. Should this happen, try frying the extra with some mashed potatoes and egg or twice baking in a mashed potato. Oh, wait on that last part. I’m definitely going to turn that into a recipe. What is the best crab to use in crab artichoke dip? The whole question of crab meat can be very confusing. Crab meat is canned and sold using different species of crab and different parts of the crab (not to mention imitation crab), so figuring out which crab to use can be tricky. I know, I’m not helping. Sorry. The best type of crab for THIS RECIPE is lump crab meat. I found this in the same section of the supermarket as canned salmon and tuna. Lump crab meat is tender and some-what flaky. Commonly used in crab cakes, it comes from the body of the crab. Apparently, there are different “grades” of lump crab meat, but ignore all that, just get whatever you can find and you’re good to go. Crab claw meat. Found in the refrigerated section of Trader Joe’s, for a long time, this is what I thought of when I thought of crab meat. I soon learned there are, in fact, differences. Anyway, claw meat has a completely different texture than lump crab, so unless it’s your only option, stick with lump crab meat. Imitation crab meat. I have nothing against imitation crab meat. However, using imitation crab would completely change the flavor of this crab artichoke dip. Basically, last resort. Once you have your bread bowls hallowed out and the filling mixed together, it’s time to stuff them. Now, you guys, you really want to stuff these bowls. 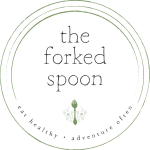 Use the backside of a spoon and push it in there. Obviously, being a dip and all, they require more cheese on top before baking. I highly recommend shredded mozzarella cheese as it’s one of the better melting cheeses. Bake, wait, and devour! Say you’re attending a Super Bowl party at a friends house and you’re in charge of the appetizer. Yes! Congratulations! This Crab and Artichoke Dip will be perfect. Except, wait. Won’t they be cold once you arrive at the party? Prepare the filling ahead of time. Store in a sealed container in the refrigerator for up to 3 days. 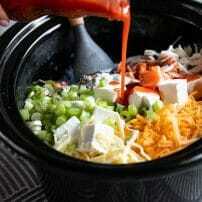 Add some extra shredded mozzarella cheese to a ziplock bag and keep stored in the refrigerator. The night before, or the day of, hollow out the bread bowls and reserve the leftover bread pieces in a large ziplock bag. store the bread bowls in a large ziplock bag with as much air squeezed out as possible. 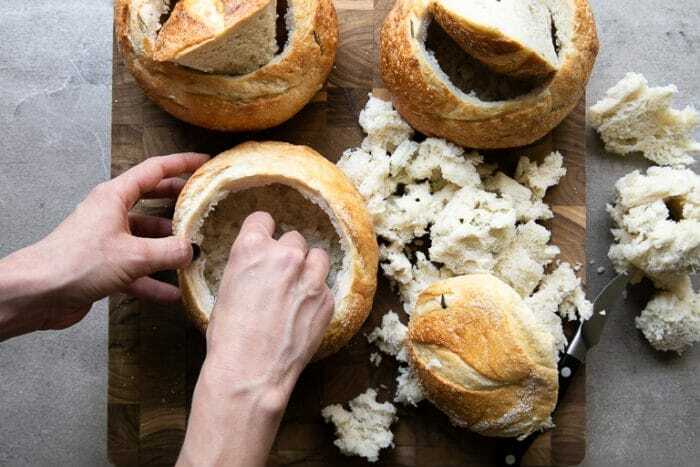 Before leaving for the party, divide the mixture between the bread bowls. 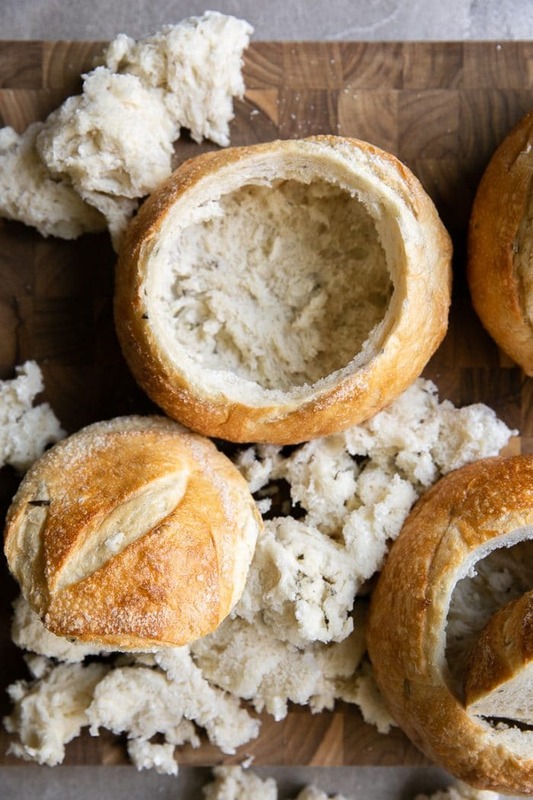 Wrap each bread bowl in plastic wrap and place on a large baking sheet along with the ziplock bags filled with the leftover bread pieces and shredded mozzarella cheese. 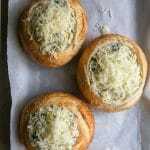 Once you arrive at the party, simply unwrap the plastic from the bread bowls, top with cheese and bake. DON’T FORGET TO PIN THIS HOT CRAB ARTICHOKE DIP RECIPE TO PREPARE FOR YOUR FAMILY ON CHRISTMAS, SUPER BOWL, OR ANY DAY YOU WANT TO CELEBRATE WITH DELICIOUS CHEESY CRAB AND ARTICHOKE DIP. Preheat oven to 400 degrees F. and line a baking sheet with parchment paper. Set aside. Cut a circle around the top of each bread loaf, then, using your hand scoop out the top and gently hollow out the inside, taking care to leave a 1/2-inch wall. Reserve the torn out bread and bread top for later use. Meanwhile, toast the bread bowls in the preheated oven for 5 minutes. Remove from oven and set aside. As the bread is toasting wilt the spinach. Heat a large skillet with a lid over medium heat. Once hot, add 1-2 tablespoons of water and the spinach, working in batches if necessary. Stir and cover. Watch for the spinach to start wilting then remove the lid, add any remaining spinach, and continue cooking until all spinach has dropped its water. Remove from heat and allow to cool. In a large mixing bowl mix together the mayonnaise, sour cream, and cream cheese. Mix until smooth and creamy. Add the drained and chopped artichoke hearts, lump crab meat, half of the mozzarella cheese, asiago cheese, green onion, spinach, red chili flakes, salt, pepper, and buffalo sauce. Stir well to combine. 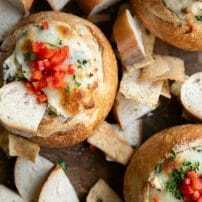 Divide crab and artichoke mixture evenly between each bread bowl, gently packing with a spoon. Sprinkle the top of each with remaining mozzarella cheese. 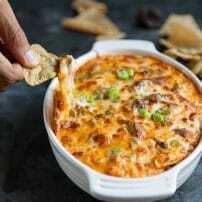 Bake for approximately 10-12 minutes, or until cheese is melted and bubbly, and the dip is heated through. Serve with pita chips, baguette, or fresh veggies. Enjoy! I knew this was going to be delicious because of how mouth-watering it looked when I served the family at dinner last night, but after the first bite – we were all speechless. I don’t think anyone said a word for 10 minutes while we all scarfed it down. Thanks for sharing!